Prosoft Süd Consulting develops and operates industrial data acquisition and communication systems, with a focus on rail measurement and control systems. The company works with universities and technical colleges to research radio-frequency identification (RFID) technology, analyse noise emissions in rail traffic, and develop solutions for surveying systems. Prosoft’s products enable highly accurate vehicle detection and measurement of track systems. Its solutions include the rail-reader RFID tensile detector, the WALEM acoustics measuring system, and the FreeSEAT seat detection solution. The rail-reader is a small and easy-to-use solution that detects and analyses trains travelling at full speed. The reader measures the speed and direction of trains by analysing the signals from axlecounters and reading 12-digit international numbers received from trains’ RFID transponders (if wagons have been equipped with them). Within seconds of the train passing, the system provides a detailed ‘train report’ which can be used to allocate measurements from wayside train monitoring equipment (WTMS) such as wheel geometry, axle loads, temperatures, noise emission and more exactly to the wagons or their parts. The wayside detector solution optimises logistics by reporting the exact time of passage, signalling expected train arrivals into stations, and monitoring the condition of rail vehicles. It also enables data collection for long-term statistical analyses, allowing operators to detect upcoming faults. 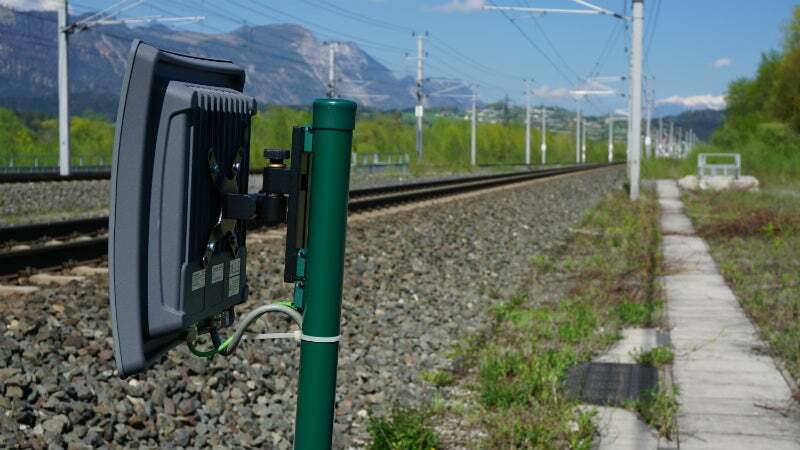 The WALEM noise analysis system consists of a calibrated measuring microphone and energy-saving electronic components that capture and analyse the noise emissions of passing trains. The system creates noise reports in accordance with corresponding regulations, and can be combined with the rail-reader system, which generates corresponding vehicle reports. Together with acoustic emissions measurements, these results allow operators to assess the condition of rail cars. WALEM enables wide-area communication via global systems for mobile evolution (GSM) and universal mobile telecommunications services (UMTS). Capable of operating autonomously, the WALEM solution helps to reduce noise emissions and maintenance costs. The FreeSEAT system is based on small autonomous sensors, which are placed under the seats of rail vehicles. These sensors recognise when seats are occupied and reports this to a receiver installed in railcars, which transfer data to a host computer in accordance with adjustable criteria. Following analysis, this information can serve as a basis for advertising plans near seats at platforms, as well as reservation systems on trains. The system is expected to become commercially available in volumes from Q3/Q4 2017. Prosoft’s team comprises highly qualified experts with many years of experience. The company cooperates with universities and research and measuring institutes and has its own IT infrastructure. Prosoft’s operation and information processing is carried out by its subsidiary, Rail Data Services (RDSA).